It's hard to believe I bought my first matte top coat less than two years ago! 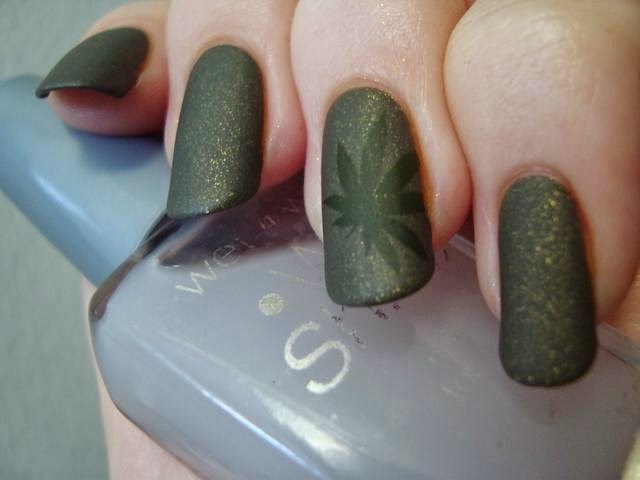 The idea of being able to try a matte finish on any polish is a thrill that's obviously never really left me. There's also been an explosion of options, at various price levels. A year ago when I reviewed Sinful Colors Matte Finish, I only had two others for comparison. Now I've got seven! How does that happen? 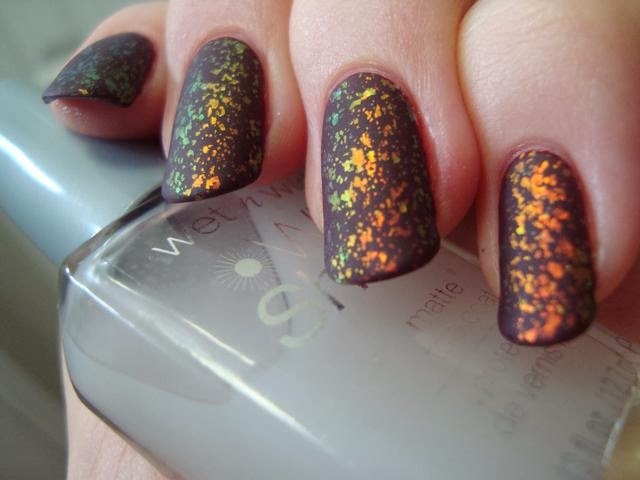 The newest of the bunch comes from Wet n Wild and it's also got the lowest price, under $1. I love my bargain brands as much as the next drugstore beauty shopper, but even I was a little skeptical at first. I had to see it for myself! I got it for just 59 cents during a sale at CVS. Over the past few weeks I've tried it over several different polishes and faced it off against all of the competition I have for it. The results are...well...see for yourself! As you can see, it does really well! I knew from my first test of it that it was decent, but the swatches were the real proof. 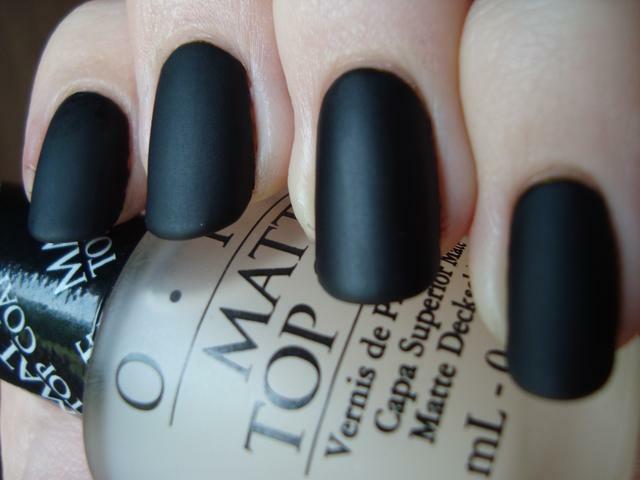 It does everything you want a matte top coat to do. I'm a little amused to see it as part of the Wild Shine line, but that does keep its price down. I'll be interested to see if the mattifying particles stay in suspension or if it needs shaking sometimes, but so far, so good! Now about those comparisons... I pitted it against the heavy hitters first. Butter London Matte Finish and OPI Matte Top Coat are the clear winners here with Butter London just a hint more matte than OPI. I'd compared them before, but the photo never made it onto the blog. (The order is BL, OPI, ChG, and OPI.) Wet n Wild's Matte Top Coat isn't quite as matte as either of them, but beats Sally Hansen Big Matte Top Coat. Its slight drawback is that it's a little streaky, but that doesn't matter when mattifying anything with a shimmer, glitter, etc. Where it really stands out is against the less matte of the bunch. China Glaze Matte Magic should really have swapped spots with Sally Hansen Big Matte, since I'm pretty sure it's a bit more matte. Wet n Wild still beats it. NYC Matte Me Crazy is matte-ish, but decidedly streaky. Sinful Colors Matte Finish is barely matte, but it has its purposes. Bottom line: It works! It's a terrific bargain too! Will it be replacing my go-to OPI though? No, probably not. I'm running low on that and may use the Wet n Wild until Ulta has another OPI sale, but in the long-run the OPI is smoother and more even to apply. I can give it a ringing endorsement as the best bargain and the most matte among the drugstore brands though. It's more than worth the super-low price! What's your matte top coat of choice? Will you be trying this new contender? Perfect timing for this! 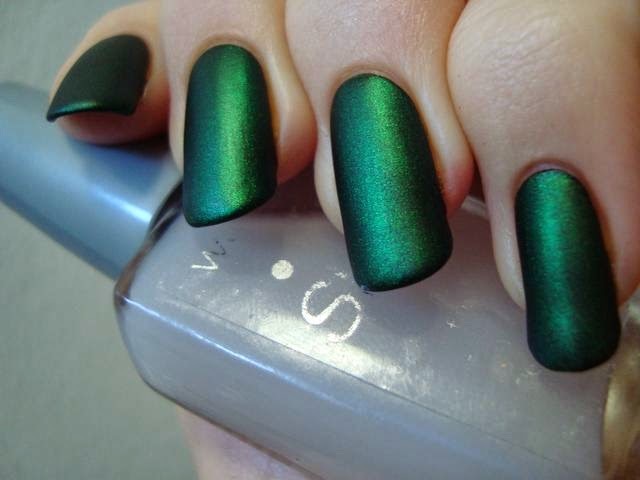 I was looking at matte top coats today, like 20 minutes ago. 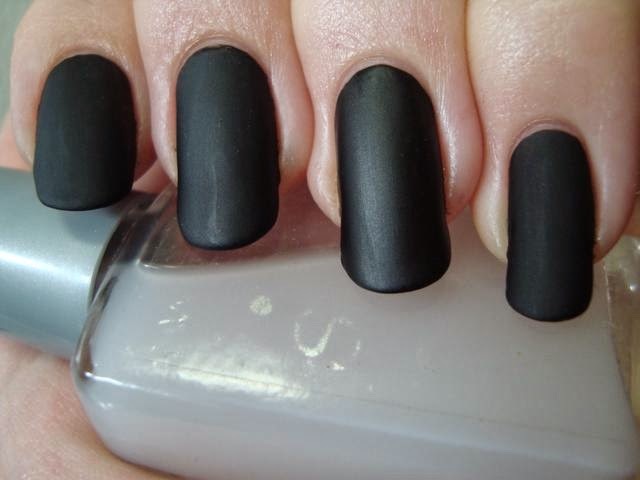 A matte coat is going to be my next purchase and I just couldn't decide which one to buy. But now that you compared all of these so nicely I know I'm going to give WnW a chance. Thank you. Sorry for the delayed replies here, all of you...I'm bad about that! WnW is a good way to go, definitely. I really like this one, I'm so glad they came out with a matte ! Have you tried the wee finger paints one yet ? Its surprisingly great, I just hate those tiny bottles. I got it, but haven't tried it yet. I really like Kleancolor Madly Matte for a cheap matte coat. It works better than both my Orly & Sephora by OPI matte top coats. Kinda sad really. lol I guess I'll be doing a comp with what's in my stash eventually. 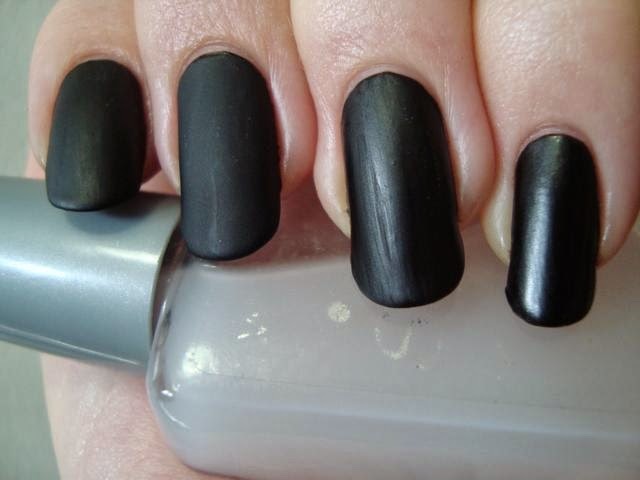 It's Sinful Colors San Francisco over black. :) It was ETF in the US until recently, so you might find it online and it may be available in the UK too.